Our snow shovel was playing children's toy before the big snow this past weekend and went MIA under it. So, I had to improvise. Fortunately, I had some scrap sheet aluminum, my sheetmetal brake, and some other stuff laying about. Mr. Snowman is using it now. That'll be a piece of American Primitive Art when you're finished with it! "Necessity is a Mother" I always say! Remember to tell that snowman to lift with his legs and bend at the knees. 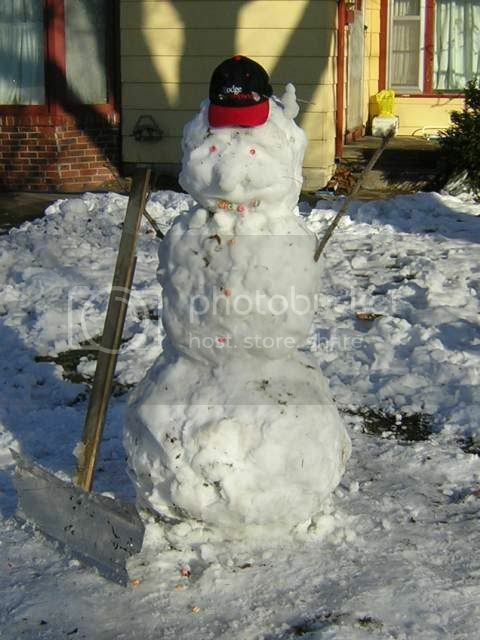 Remember "its to close to the weekend to get hurt now"
When you need a snow shovel you need a snow shovel.